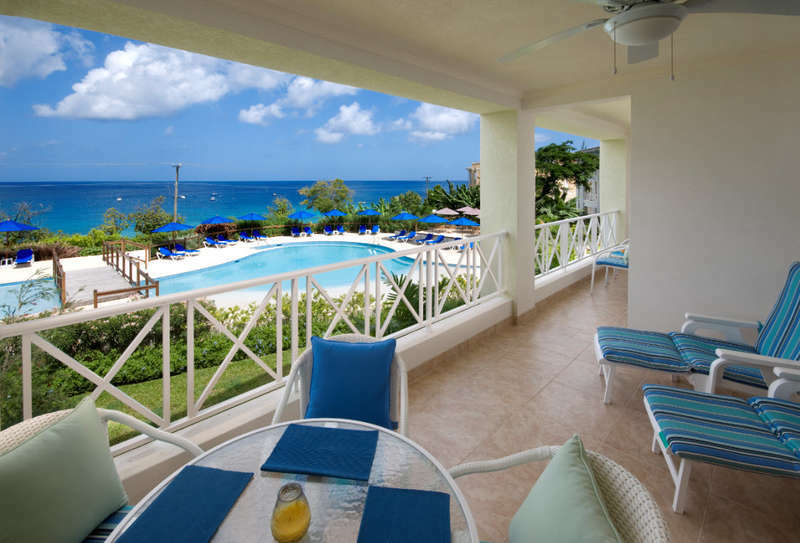 Beach View is an exciting gated condominium complex located on Barbados' famed West Coast, just across the road from the beach. The elevated position affords views from each apartment of the turquoise waters of the bay and excellent swimming is merely steps away. 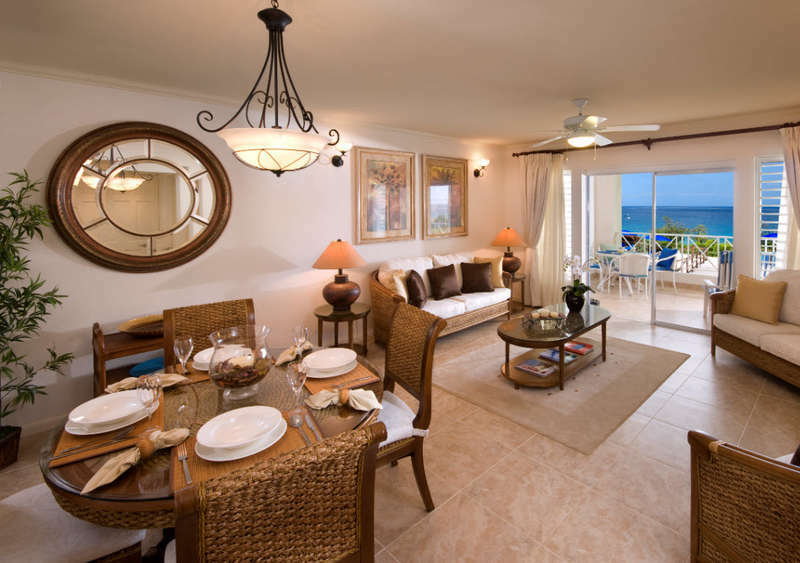 On offer is apartment 208, a spacious two-bedroom unit offering air conditioned bedrooms with en suite bathrooms and well appointed open plan kitchen and living area. 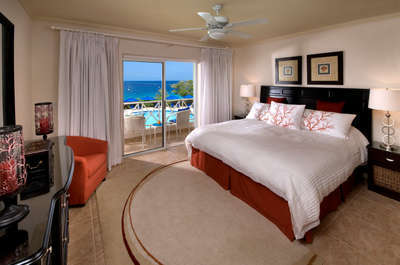 The master bedroom offers a king sized bed, and a terrace with views of the Caribbean Sea beyond. The second bedroom offers twins beds. Dining can be indoors at the formal dining table or out on the covered terrace while looking out to the horizon. Sunbathe on the pool deck of the large free form swimming pool while the children frolic in the children's pool or enjoy a snack from the on-site bistro style cafe. Beach View 208 is the ideal location not only for families and friends but also the savvy business traveler looking for a relaxing escape. 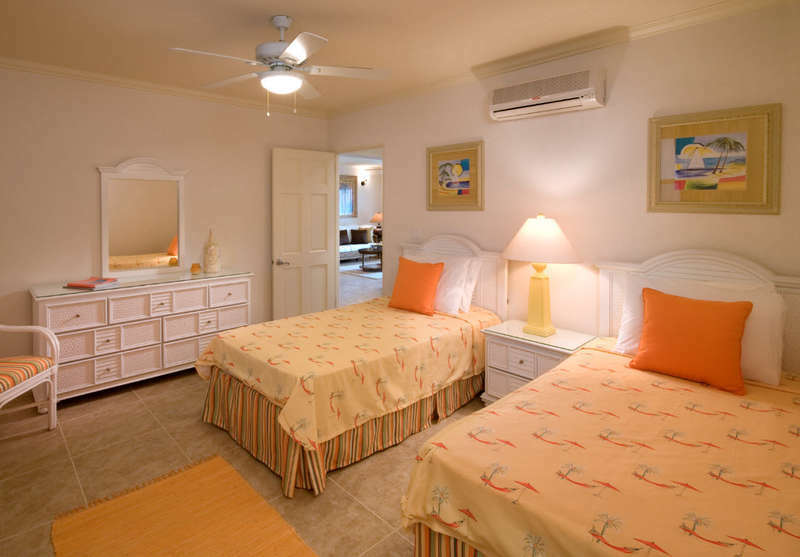 Housekeeper service is provided three days per week.